In the hopes of securing a spot for a Japanese astronaut to go to the moon, Japan will offer technical assistance to an international manned lunar exploration project that was announced by NASA. The Committee of National Space Policy of the Cabinet Office decided to proceed with the project for technical assistance on Dec. 1, which will be included in the Basic Plan on Space Policy that is scheduled for revision soon. 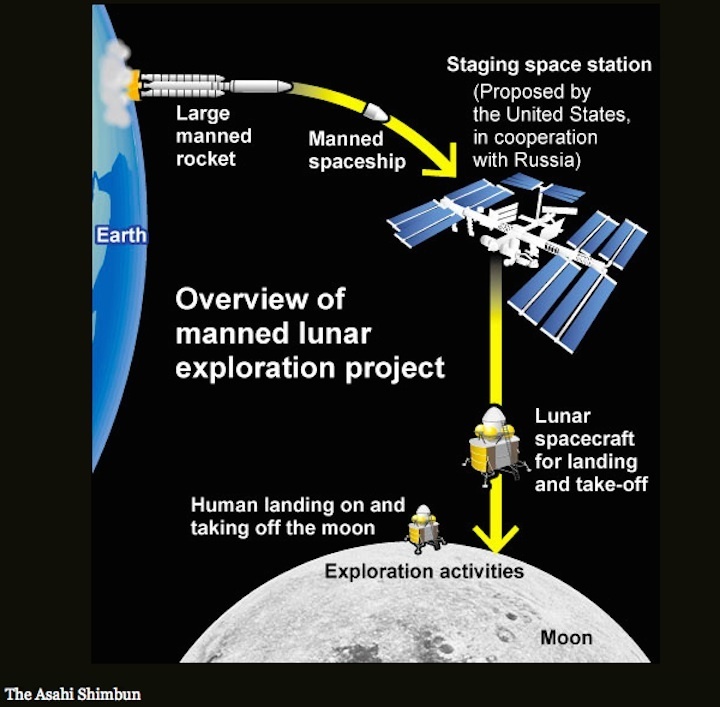 However, the basic plan will not include the goal of having a Japanese astronaut walk on the moon. The race to the moon in the 1960s and the frenzy of manned lunar exploration ended with Apollo 17 in 1972. However, many nations are once again eyeing Earth's satellite with recent discoveries there indicating the possible presence of water and rich mineral resources. In June, the Japan Aerospace Exploration Agency suggested conducting a manned research mission to the moon at the education ministry's expert panel meeting. NASA announced in September 2017 plans to put a space station in lunar orbit and send a smaller explorer ship that can land on the Moon and return to the orbiter. Russia has announced it will cooperate on the project. China and other European nations are also planning separate lunar exploration projects. The Committee of National Space Policy decided to include the lunar exploration project in its basic plan as the leaders of Japan and the United States agreed on Japan’s cooperation in the project at a meeting held during U.S. President Donald Trump’s visit to Japan in November. The International Space Station, in which Japan is also participating, is scheduled to be decommissioned in 2024. 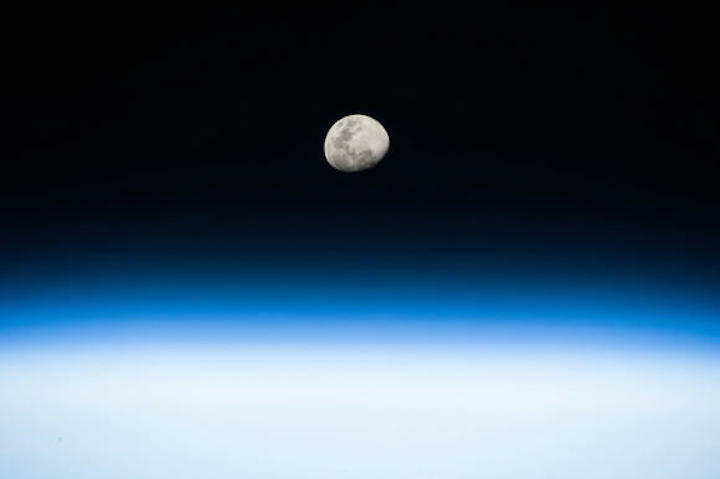 TOKYO (Kyodo) -- Japan will consider joining a U.S.-proposed project to build a new space station in orbit around the moon, hoping that it will boost the chances of sending Japanese astronauts to the lunar surface, government officials said Friday. The move indicates Tokyo's desire not to fall behind the developments in the space field, as Russia said in September it will collaborate with the United States on the new space station, whose completion is envisioned in the latter half of the 2020s. The science ministry panel proposed in a report compiled Friday that the government consider joining the U.S.-led project. The proposal was included in the draft revised road map of Japan's space policy, to become official later in the month. The government believes that Japan can contribute to the space station project through its unmanned cargo ship and other technologies. But details have not been worked out and the financial burden linked to the space station project may loom large. In a report worked out in October, the panel left vague how the country should pursue manned space missions. But the panel delved into the issue after Japan and the United States agreed to cooperate in space exploration during talks between their leaders in November. According to the U.S. National Aeronautics and Space Administration, the new space station is expected to serve as a base for manned missions to the moon's surface as well as a transit point to Mars. Japan, for its part, plans to establish its own moon landing technology through the planned launch of an unmanned spacecraft in the fiscal year starting April 2019. If successful, it would be the country's first landing on the moon.